Just a quick note to all who like to bet on the asian corners or the first half goal line! 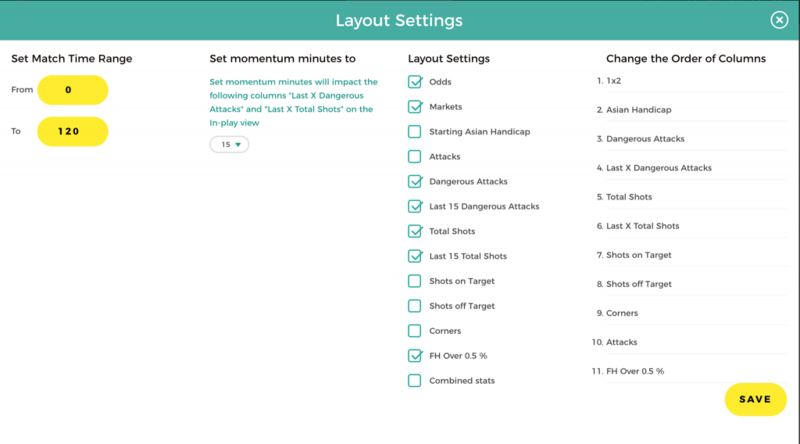 We have improved the Schedule page by adding two new columns – Asian Corners & FH Over 0.5%. By the way, you can sort the upcoming games by clicking on the column’s title. 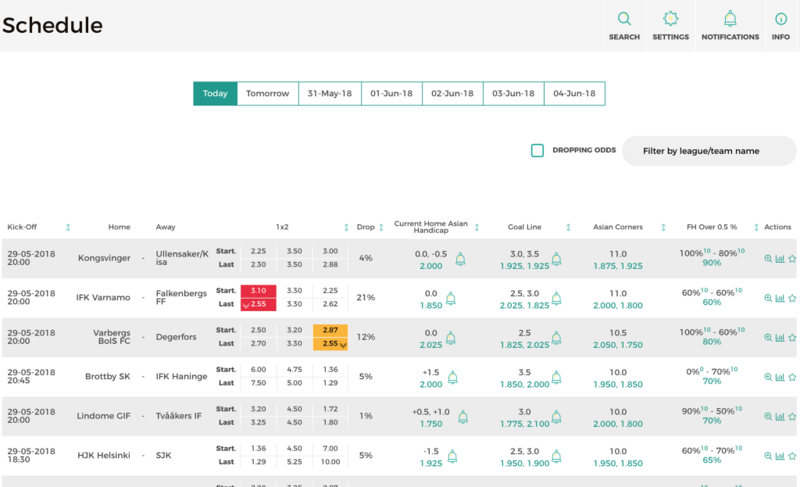 In addition: The First Half Over 0.5 column is the latest feature we have launched. In that column you see three percentages, the top left one tells us what percent of the time the home team has either scored or conceded at least one goal in the first half based on the last 10 games. The second number gives the same information except for the away team. The green percentage is the average of the home and away team statistics. For instance, if the number is 70%, that means that the home team has either scored or conceded at least one goal in the first half in 7 of the last 10 games. We are more flexible than ever! You can change the order of columns from now on! In addition, fixed an issue that caused In-Play to freeze up for a moment during busy betting times.